Ok so as usual, I'm a day late and a dollar short but I wanted to show y'all what I picked up at GW yesterday. I'm in TN with Mark and quite frankly, the GW here hasn't shown me too many treasures. Every time I walk out empty handed, I swear that will be the last time I stop there but the thrill of the hunt keeps drawing me back in. And yesterday I scored! So without further ado here are my finds. 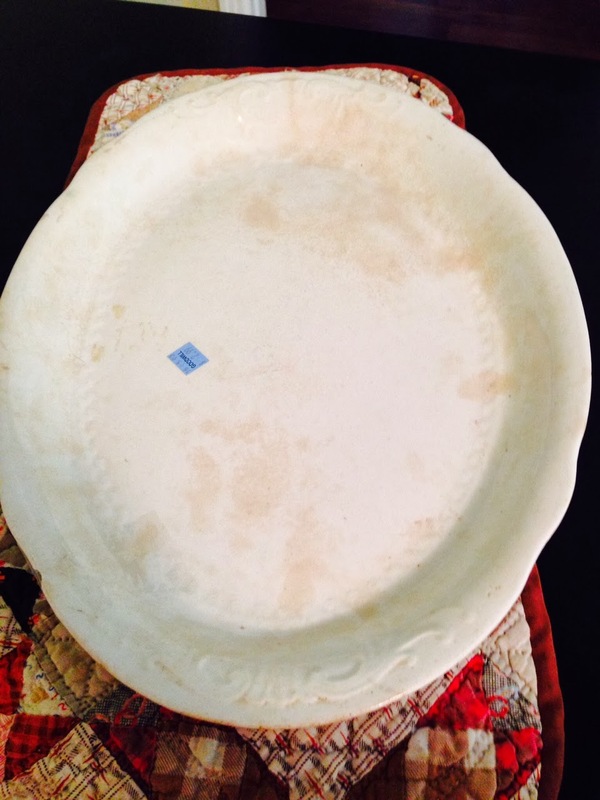 A huge antique ironstone platter for $2.99 and I almost missed it completely because it was on the bottom shelf under a tacky, plastic turkey platter but something just made me take a second look. Wahoo, I snatched this beauty up and clutched it tightly all the way to the checkout counter. 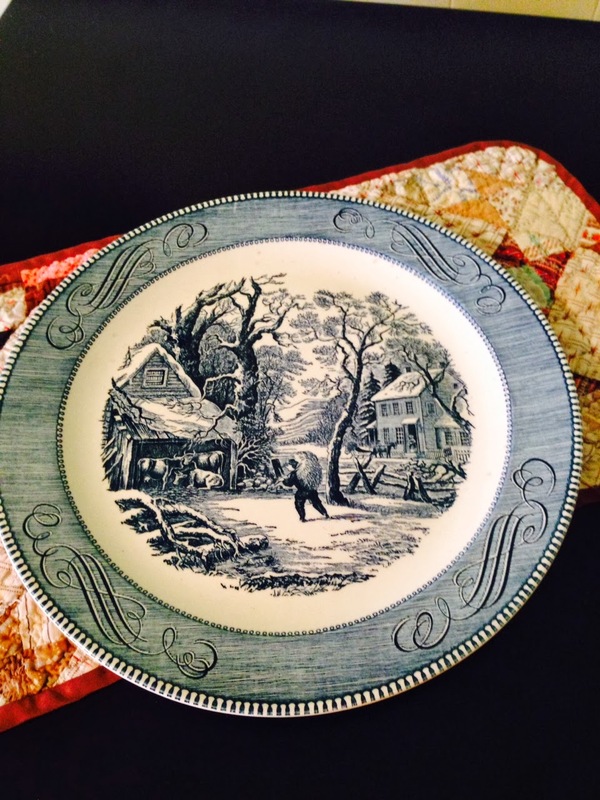 My next find was this Currier and Ives "Snowy Morning' platter for $1.99. And finally a basket filled this this awesome goodness. Just look at these 12 antique bottles that look like someone dug them up from their backyard. Now I will confess this was my big splurge because I paid $12 for them. They were wrapped so tightly with saran wrap that you could barely see what they were but I knew instantly that they would be a really great collection. Some days it just pays to go thrifting and yesterday was a banner day. Have a great weekend and do something that brings a smile to your face today. Don't forget to Spring Forward this weekend! You make me hungry for thrift shopping! I haven't been in so long. You did have a banner day didn't you! LOL Wonderful finds. You sure did hit the mother load, lucky gal again! 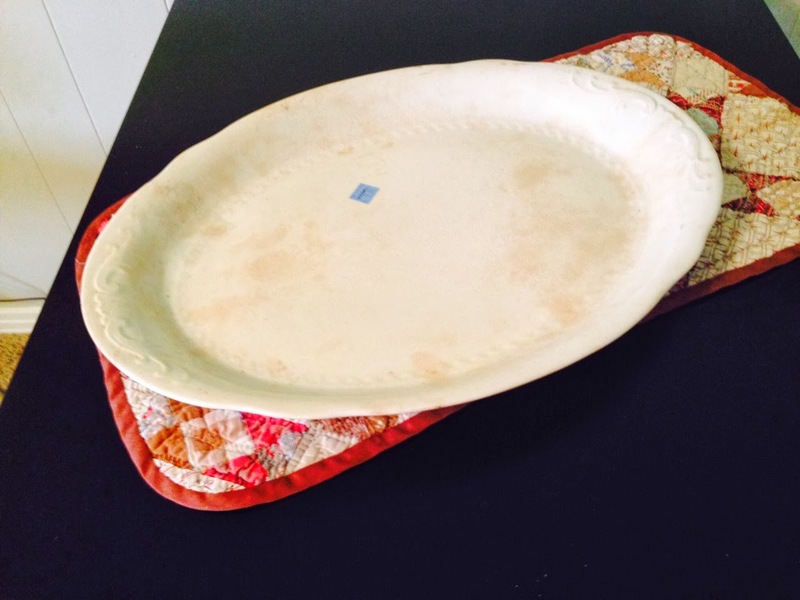 Hello Donna, oh I adore the Snowy Morning platter, so beautiful, love those picture plates. Great bottle load, you did very thrifty, Hugs Francine. WOW! Good for you! Love that platter. We have slowed down our antique/thrift shopping because we almost always walk out with something we need the truck for. Wow, love your finds, the bottles are great, so nice to have a ready made collection. I really need to get out to the thrift shop soon.